Managers and customers expect to get value for money. A significant number of projects have been cancelled or are seen as a failure because they ran too far over budget. This five-day GLOMACS Project Management training seminar on Project Budgeting & Cost Management will present the participants with straightforward approaches to developing a cost baseline and setting up a cost tracking system so that the budget is well managed during the project’s life cycle. This 5-day GLOMACS Project Management training seminar on Project Budgeting & Cost Management will provide participants with a proven set of methods, processes, tools and techniques to develop a systematic and dynamic project plan to ensure progressive monitoring control and reporting of project cost. Participants will develop advanced project management performance and control skills and knowledge through formal and interactive learning methods. This GLOMACS Project Budgeting & Cost Management training seminar includes case studies, group discussion and critical analysis of case material based on a fictional housing construction project. 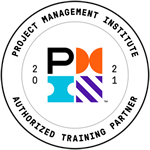 Although this GLOMACS Project Management training seminar does not assume prior knowledge of the topics covered in the course, some knowledge of or exposure to project management training will be an advantage. New concepts and tools are introduced gradually to enable delegates to progress from the fundamental to the more advanced concepts of project cost planning, monitoring and control. Finance Personnel that are interested in expanding their understanding of how project cost data is used to manage the entire life-cycle of projects. These participants will gain insights into how cost data influences financial feasibility, project selection, detailed budgeting and cash flow planning as well as change management and other mechanisms that leverage costs to control project execution. What are the main measures used for EVM?